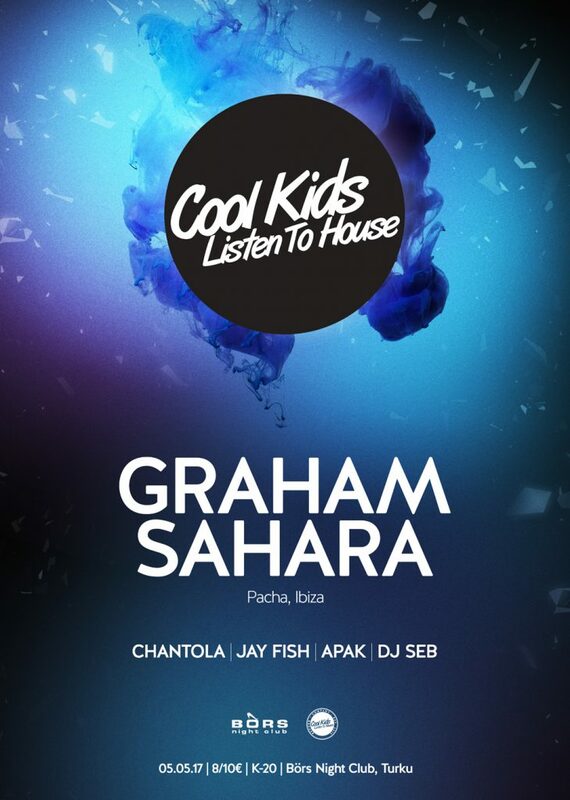 DJ, producer and Seamless Recordings boss Graham Sahara’s genre-defying magic has left its mark on super clubs and venues across the globe. For more than decade he’s been a resident at Pacha, the legendary club in Ibiza, the island that’s been his home since the 1990s Spinning quality tunes encompassing everything from deep and soulful, to eclectic and Balearic, to tech house and techno, Graham’s played every important Ibiza club and venue. And the skills he’s honed in the international capital of clubbing have led to being in demand around the world. During his time at Pacha he has consistently demonstrated his genre-defying ability to play across the various spectrums of electronic music with ease, which has seen him play at times up to two or three completely different in the club in a one night, whilst supporting the likes of heavyweight underground artists such as Mr C, Terry Francis, DJ Pierre, Reboot, Edu Imbernon and Solomun through to traditional house music legends such as Masters At Work, Bob Sinclar, Roger Sanchez, Derrick Carter and MK, and even, in years gone by, all the way though to chart topping acts like Tiesto, Swedish House Mafia and David Guetta. He’s collected an impressive string of awards and nominations. In 2008 he was nominated both as Best DJ and Best DJ of a Bar and Lounge in Spain’s Deejay Magazine awards. A year earlier he received a nomination as Best Ibiza DJ in the internationally televised Ibiza DJ awards. Then in 2015 he was voted Best Ibiza DJ in the Ibiza Clubbing Guide Awards.